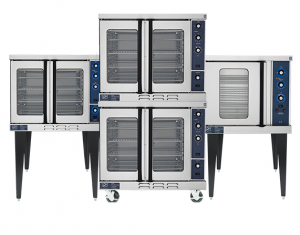 Duke offers one of the best, most durable ENERGY STAR Qualified gas convection ovens in the industry, using only 40,000 input BTU's. Our ovens offer larger cooking cavities than other brands, with the same exterior size. Duke's robust designs feature coved corners, a 10-year door warranty, and are fully front-serviceable.